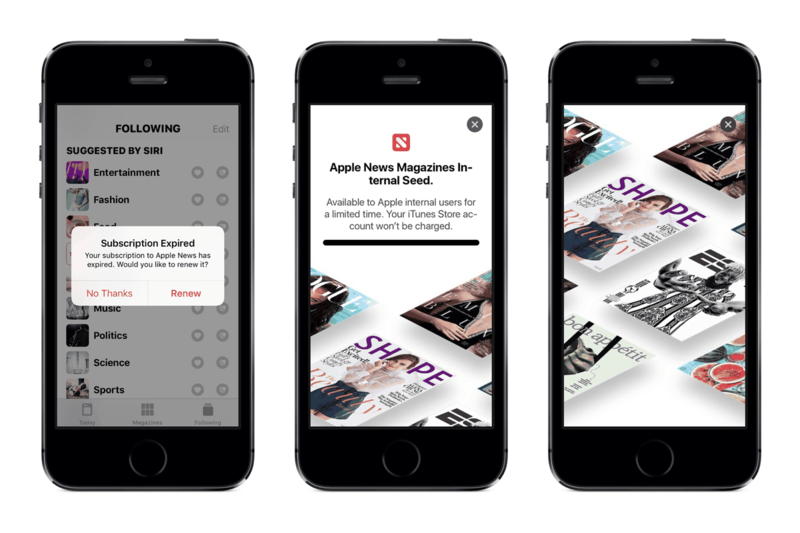 YA preview of an Apple News subscription service was found in a developer build of iOS 12.2 by 9to5Mac today, and the service would offer access to newspapers and magazines for a monthly fee. The images line up with The New York Times report from last October that reported Apple is close to launching its own subscription service inside the News app, and it builds on Apple’s acquisition of a digital magazine subscription service called Texture, which was billed as the “Netflix of magazines,” earlier last year. The splash page shows that the subscription service might be called “Apple News Magazines,” and payment will be handled through the iTunes store. There’s no pricing information or any sort of expected launch date yet, but for reference, Texture’s service offered a $9.99-per-month subscription to 200 magazines from major publishers, including The New Yorker and Time. Apple has also been rumored to be working on an all-in-one subscription service that bundles its news and magazine service with its original video content as well as Apple Music, per a report from The Information. Mentions of “bundle subscriptions” have been found in the beta app, which suggests that the streaming bundle isn’t too far away.